Mark Eliyahu in Heydar Aliyev Palace buy tickets online. Delivery of tickets for the event Mark Eliyahu. 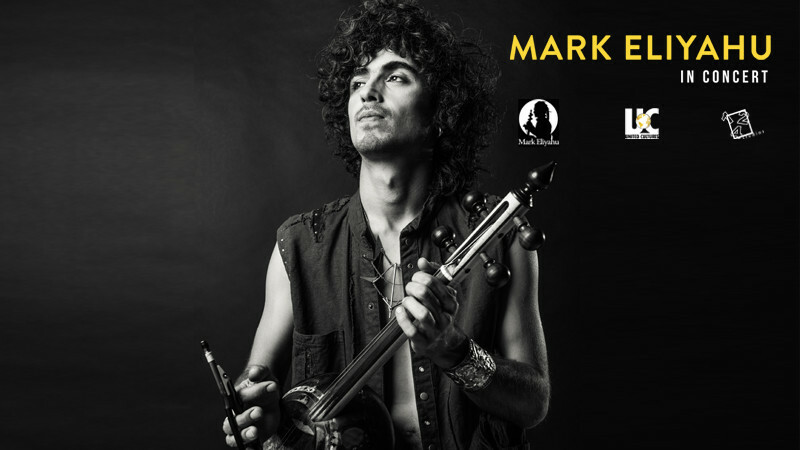 Legendary Mark Eliyahu, worldwide famous kamancheh player will perform for the first time in Baku on May 25, 2019 at Heydar Aliyev Palace. 20 years ago Mark Eliyahu was inspired by Habil Aliyev's performance, a prominent kamancheh player, and moved to Baku, Azerbaijan to learn kamancheh under guidance of Adalat Vazirov. Mark Eliyahu got his Kamancheh directly from Habil Aliyev. Untill today he is playing on Habil Aliyev's Kamancheh. In his virtuoso performance, Mark Eliyahu, presents to modern music lovers the pearls and depth of Turkish, Arabic, Iranian and especially Azerbaijani music - mugham. The concert will take place in a very colorful and purifying soul atmosphere emanating from the depths of centuries.